Social media isn’t just for B2C marketing. According to Accenture, 94 percent of B2B buyers conduct online research before making a business purchase. LinkedIn says that 10 pieces of content are consumed prior to a purchasing decision. It increases your online presence. It makes your company easier to find. It provides multiple sources of information. A 2017 report from the Content Marketing Institute found that 83 percent of companies use social media as a content marketing tactic. Social media is clearly recognized as a useful tool when it comes to distributing material online. However, not all venues are equal. Facebook still claims the lion’s share of social media users. According to Pew Research Center, 68 percent of American adults use Facebook. Twitter is another popular social media site. According to Pew Research, 24 percent of American adults use Twitter. While this figure is significantly lower than the figure for Facebook, it’s still a sizable audience. LinkedIn also deserves attention. Although Pew Research found that only 25 percent of American adults are on LinkedIn, it’s a highly effective site for business leads: 80 percent of B2B leads come from LinkedIn, and 43 percent of marketers have sourced a customer from LinkedIn. With more than half a billion users worldwide and a focus on business, LinkedIn is king when it comes to B2B marketing. B2B content needs to be informative. When B2B buyers conduct online research before a purchase, they’re looking for proof that your company, product or service will be a good match for them. Company pages. Like your company’s website, your company’s social media pages should present your company in the best light possible. Don’t forget to update this information regularly. Posts that include infographics and other images that are chock-full of useful information. Links to longer blog posts and white papers. Twitter posts have a 280-character limit, so you can’t include much information per tweet, but you can provide helpful links. This strategy also works well on Facebook and LinkedIn. Links to third-party content. Social media is a place to share information. By linking to articles that your audience will find helpful, you’re establishing yourself as a source of valuable information. Social media is supposed to social. Even in a B2B context, it’s important to make personal connections. Photographs: Many people want to associate a face with the content they’re reading. LinkedIn Profiles: Employees should be encouraged to complete their profiles to show off their skills and expertise. LinkedIn Groups: Individuals can join and post to LinkedIn Groups. This is a great way to make new connections and find leads. Thought Leadership: Many executives want to establish themselves as thought leaders. To do this, they need to post insightful content regularly through the LinkedIn publishing feature. Ready to amplify your social media reach? 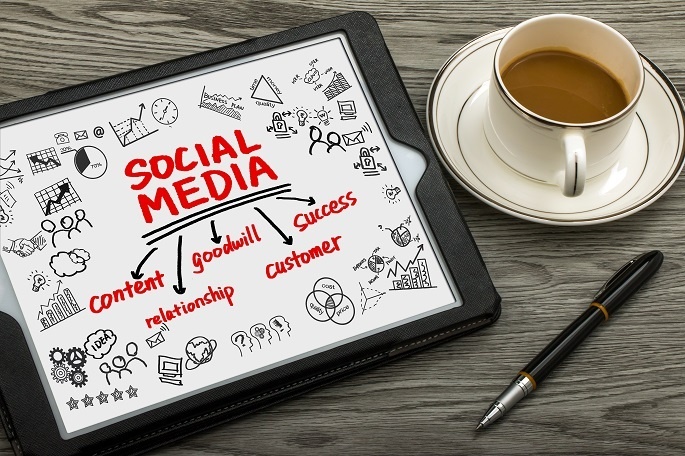 Learn more about our social media content services.